What is this class about? The word “primitive” often brings many inaccurate ideas to mind. In this workshop we hope to remove the picture of half-naked cave men beating their chests over an open fire and slurping down fat beetles and replace that imagery with a realistic view of what it means to live life in nature. It’s our goal to teach you the skills need to do it. Where is the class held? 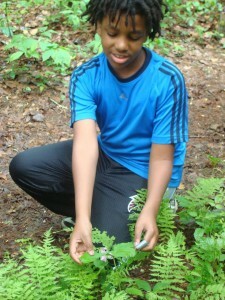 We work best in the outdoor classroom. That being said your backyards, front yards, local parks, and open green spaces are our specialties. You can come to our location or we can come to you. We will happily work with you to find the best location (indoor areas included). A wooded area with a fire pit is always best! Why is this class important? The majority of Americans have become accustomed to the many comforts of living life indoors. Fortunately, we are not faced with the struggle of acquiring food, water, and shelter on a daily basis. But take just one of these sources of comfort away and our vulnerability is obvious. If our running water was turned off, would we know where the closest river, stream, or creek is? And more importantly, would we really want to drink from it? If so, how would we carry the water from the creek to our shelter and purify it so it’s safe to drink? Our learning curve would be steep in such a situation. But we Georgians have an advantage: we live in a state that is approximately 66% forested and these forests can provide everything we need to live. What will we do and learn? 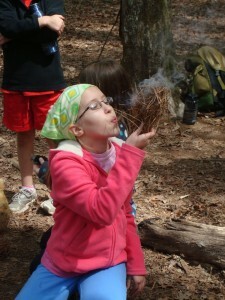 Our curriculum centers around five primary skills: creating fire (proper wood selection, building a “pyre,” and flame to friction technique*), collecting and purifying of water, building a shelter, identifying plants (one of which is used to create natural cordage or rope), and knifemanship. These skills are the foundation of basic human survival. Emphasis varies depending on participants’ chosen areas of focus.